At the end of last year, we highlighted voice recognition as one of the key technology trends for the year ahead – and this is hugely influenced by the growing popularity of Amazon’s Alexa. In mid-2017, Amazon was said to have 70% of the voice-controlled speaker market and with a “record holiday season” for the retail giant with “tens of millions” of the Echo range sold over Christmas, that market share is only set to increase across the next 12 months. So why is Alexa so popular with consumers? Well, not only are Amazon’s products reasonably priced (the 2nd generation Echo currently retails at under £90) – but thanks to the integration of thousands of wide-ranging skills (the skills count surpassed 25,000 last year) – Amazon’s voice devices are becoming less of a tech novelty and more of a useful aid you can’t live without. From controlling your heating and home entertainment system to ordering an Uber or Dominos with just a simple voice command, Alexa can make your life easier in ways you might not have even imagined. As mass adoption continues, and consumers really start to understand the capabilities of their devices once the right skills are enabled – the demand for new and innovative skills will only grow. Simple to create (if you have the know-how), savvy developers and even tech start-ups could build a profitable business in 2018 by creating in-demand skills that customers love. Established brands are already getting in on the action. 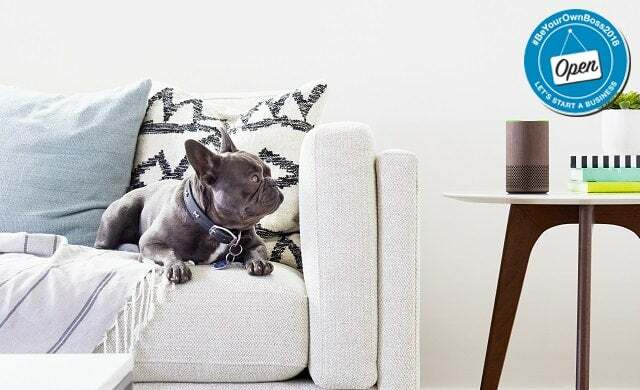 Thanks to Diageo’s virtual bar you can ask Alexa for cocktail suggestions and Nestle’s Purina lets you find out detailed information on different dog breeds. But while the next 12 months will no doubt see more big brands create voice-specific content, there’s also an opportunity for tech-savvy developers and start-ups to create bespoke skills – from quizzes to games – and monetise them. Big brands don’t have the agility, pace or often the innovation of the tech community and Amazon wants to incentivise developers to ensure it keeps its market-leading position within voice technology. And there’s definite money to be made. In the US, developer Joel Wilson made $9,000 a monthfor his two quiz skills – almost without trying. Initially launching the apps just for fun, Amazon informed Wilson he could be part of a programme that rewards developers for popular skills and then the cheques started coming. While Wilson’s story is one of the better ones, some developers were making just a few hundred dollars for their skills via rewards (and the transparency behind how the reward system actually worked was questionable), at the end of last year Amazon announced two further monetisation updates for developers that will properly come into fruition in 2018. (The rewards programme remains in place too). In-skill purchases and the ability to make payments via Amazon pay offer gamechanging opportunities for the year ahead. In layman’s terms, developers will be able to sell premium content or subscriptions within their skills and enable payment functionality. For instance, popular quiz game Jeopardy! is offering six additional clues a day to users for a small monthly fee. And TGI Fridays in the US will let you order – and pay for – takeout food via Alexa. While the voice tech market is still small in comparison to the mobile app economy, Alexa is growing at a faster pace – VoiceLabs have reported that it will reach $50m in 2018 (compared to just $500,000 two years ago). With such a fast-growing sector and more opportunities to make money than ever before, if you’ve got the coding capability, and an idea for a skill that could have premium functionality, now’s the time to capitalise on this exploding trend. Creating an Alexa skill might not make you a millionaire overnight, but the good thing is you could consider doing it part-time, at least initially. The secret to success will then lie in creating a unique offering that really adds value to consumers. With household names like the BBC, Sky Sports and National Rail all integrated with Alexa you won’t want to create a skill that attempts to compete with any of them – unless of course your offering is a significant improvement on theirs. So think about what type of skill you might create and then how your skill would genuinely benefit users. Once you’ve thought of a concept, one of the biggest hurdles for Alexa skills developers will be encouraging users to discover your skill. Despite the thousands on offer, over half of consumers only use one to three skills so you may need to get creative with marketing. If the functionality works well though and it solves a problem for consumers, it should eventually start to gain momentum. If you have ambitions to create a voice-focused business with big turnover you could consider launching a voice app agency – where you charge setup and development fees for creating skills and then an operating cost to manage them. This could also mean expanding your reach beyond just Alexa to Google Assistant and Cortana for instance. If the industry explodes in the same vein as web development, an agency that could work with both big brands and start-ups has the potential to be very lucrative indeed. “Alexa represents a new class of technology that is developing in the next generation of systems that you don’t code any more but ‘train, configure and use’. With the explosion of data on the internet, falling pricings of sensors, network and computing speeds, it has led to a new renaissance of what some call intelligent systems of the fourth industrial revolution. “Alexa is agent technology that provides new types of opportunities for consumers, product providers, manufacturers and coders of software. Packaging and services can have chat bot like dialogue with customers creating new service experiences. More advanced agents can not only converse and recognise images they could take autonomous action to report and re-order stock, set or alert security and give new hands-free recommendations that interact with people and things. “From a computer design and coding perspective data and knowledge is no longer static, but can be embedded and interactive, personalised to make products and experience intelligent.